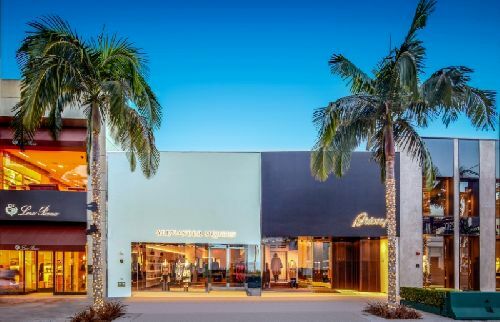 An 11.6k sf, retail building on Rodeo Drive in Beverly Hills was purchased for $96 mil by a joint venture, led by Michael Shabani of Crown Equity, Hakim Holdings, GWP Real Estate, and Mazal Enterprises. At $8,240 per square foot, it was one of the highest price-per-square-foot retail sales this year. The building, located at 457-459 N. Rodeo Drive, at Santa Monica Blvd in the city’s Golden Triangle, is home to Italian menswear retailer Brioni and British luxury fashion house Alexander McQueen. It was sold by Lang & Lang Properties LLC. The building comprises 7.2k sf of ground floor space, along with 600 sf on the mezzanine level, and 3.9k sf on the basement level. The property features 50 feet of frontage on Rodeo Drive, where rents along Rodeo Drive can run $875 to $1,000 per square foot per year, according to Cushman & Wakefield research. Carine Mamann, Kazuko Morgan, and Stephen Algermissen from Cushman & Wakefield represented the buyer in the transaction. Dembo Realty repped the seller.